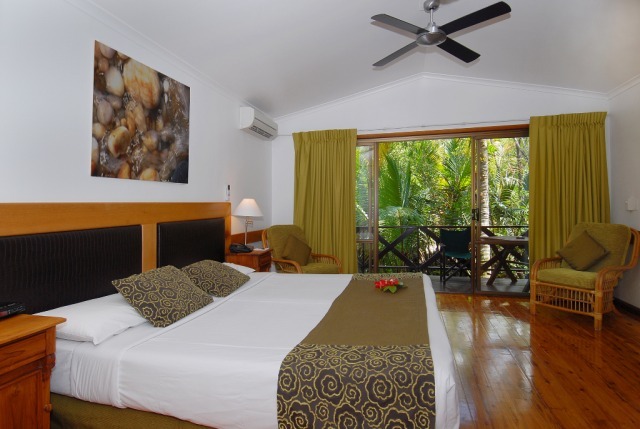 Kewarra Beach Resort is self-rated 4 ½ Star and an Environmental Eco Friendly Resort. 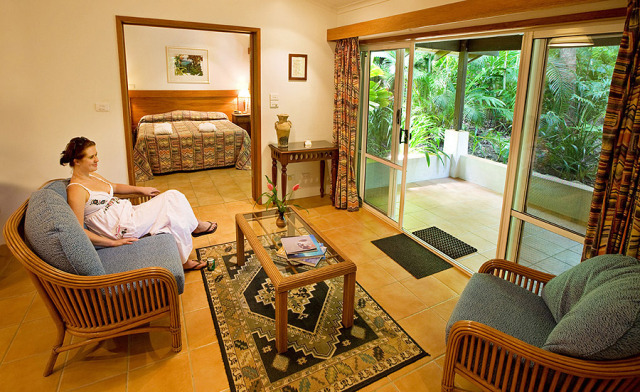 Upon arrival at Kewarra Beach Resort you will be greeted with a welcome tropical drink. 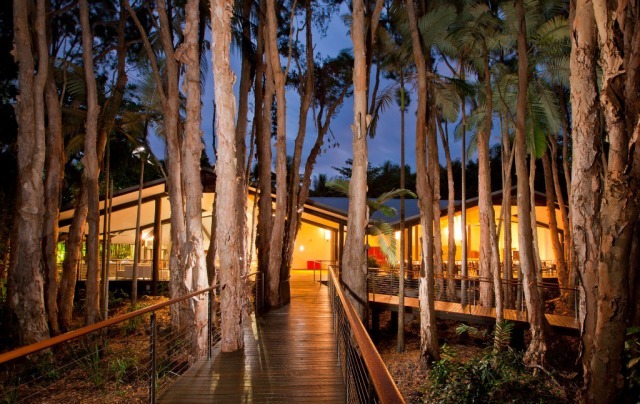 Soak up the absolute beachfront Melaleuca forest and lush tropical gardens. 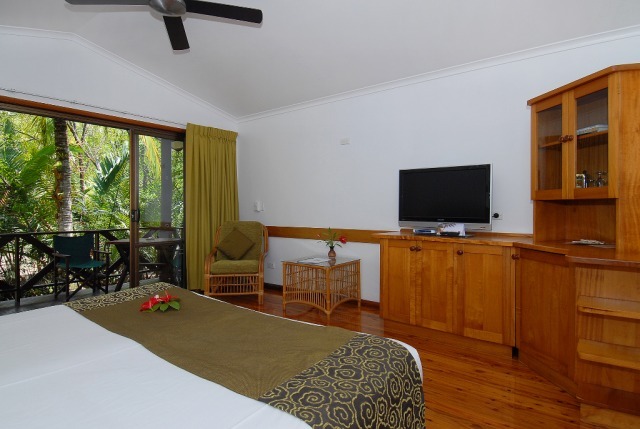 Kewarra Beach Resort offers beautifully appointed individual deluxe bungalows and spacious suites are discretely situated throughout the 30 hectares of lush tropical gardens. 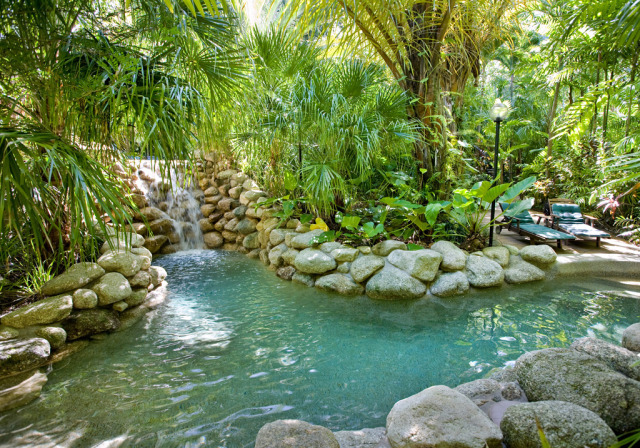 The central relaxing point during your stay are the two freeform tropical pools with waterfall, spa, secluded cave and rock pools. The perfect spot for a quiet swim. Tropical Breakfast includes a variety of teas, coffees & juices, selection of fresh pastries, baked croissants, freshly sliced seasonal fruits, variety of cereals, nuts & dried fruits, selection of cold cuts & local yoghurts. Bedding: 1 bedroom: King + Rollaway. 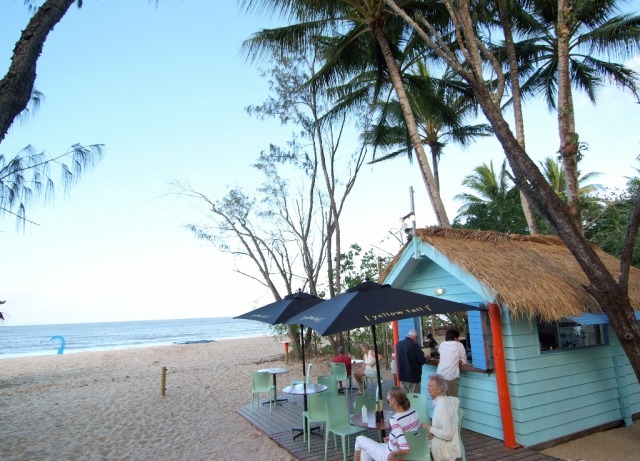 Kewarra Beach is a northern beaches suburb of Cairns, 20 minutes drive from Cairns Airport. Food in the restaurant was to die for!! 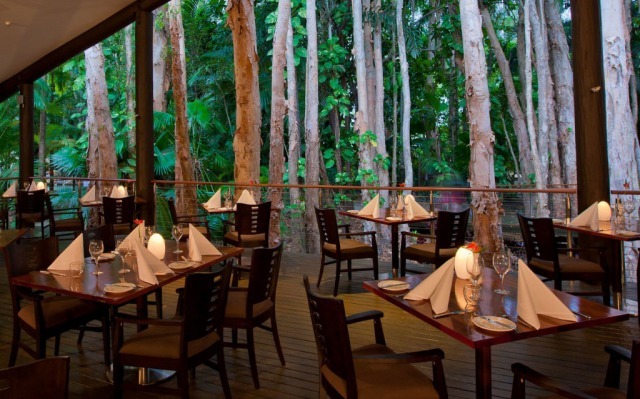 The resort was excellent and the food in the restaurant was to die for ,the staff were very helpful, I could not fault it. I would definetly stay there again and recommend it to my friends. This resort is a wonderful, peaceful place to either relax using the lovely swimming pools or lazing on the beautiful beach, or a good base to explore the surrounding area. 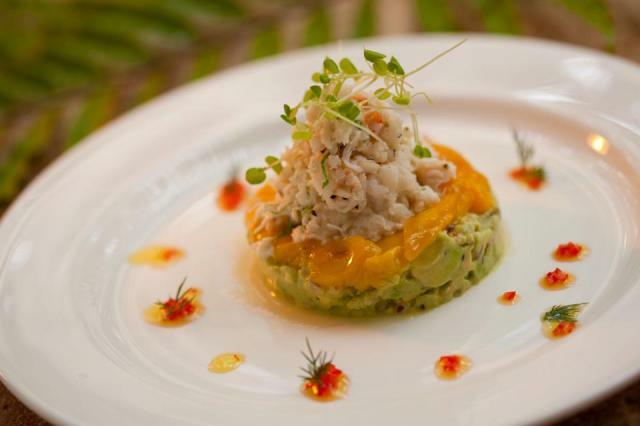 The quality of the food was superb and the staff extra efficient and friendly. 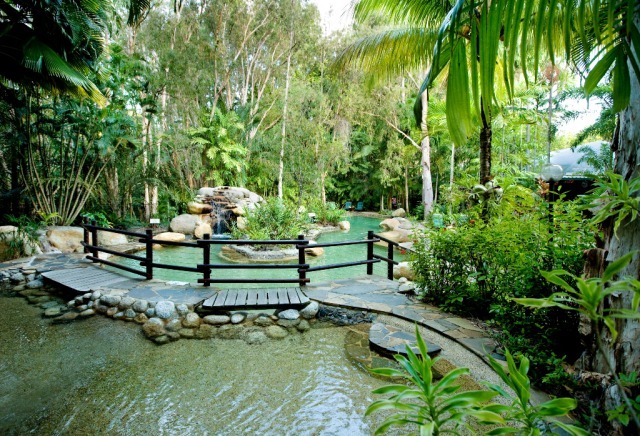 Next time we visit nothern Queensland we will stay at Kewarra Resort as this was just what we needed to relax. Very warm and friendly staff. Nothing was too much trouble for them. It is a beautiful location and the facilities are excellent. 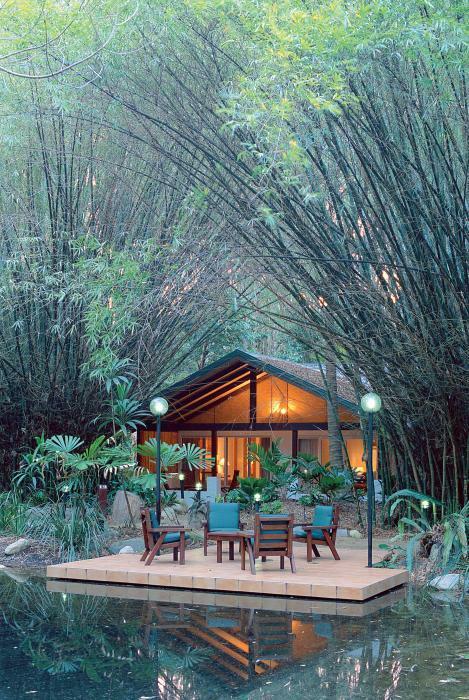 I felt it was a privilege to stay in such a beautiful & peaceful location... it really was at one with nature! The staff were so friendly & helpful and we had such a wonderful holiday, it was hard to say goodbye. We have just returned from paradise!! 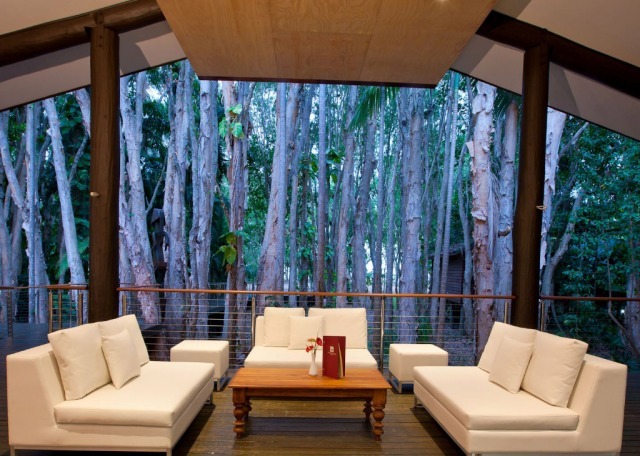 I just want to let you know how much we enjoyed our stay at Kewarra. It really is the most beautiful resort. 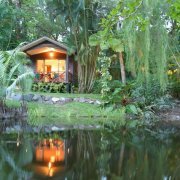 The setting is gorgeous and we had a lovely bungalow nestled in the rainforest. 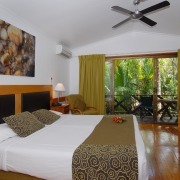 We were very impressed that the bed linen and towels were changed every day. The food was great and it was a big plus that there was no music blaring out in the restaurant. 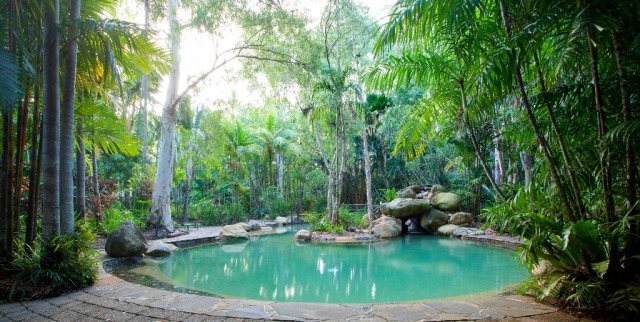 The birds and the breeze rustling the leaves and the waterfall at the pool are the only sounds you wish to hear at such a lovely place.The BBQ on the beach was magic. ALL the staff were friendly and very professional. 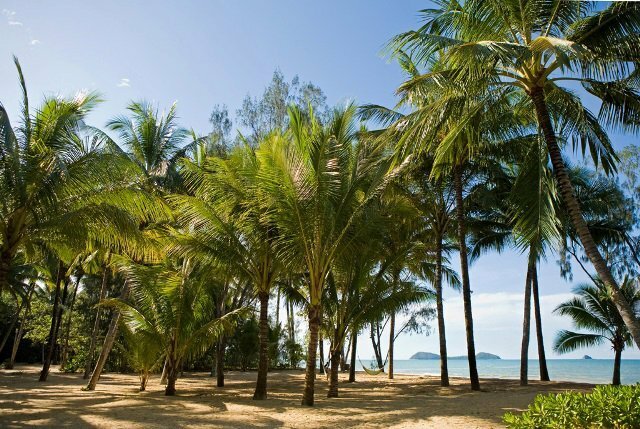 Having looked around a little bit from Cairns to Port Douglas we have to say that Kewarra is the best! We hope to return one day thank you for organising it for us. A paradise on Earth !!!! We were planning our next visit even before we left. Wow! 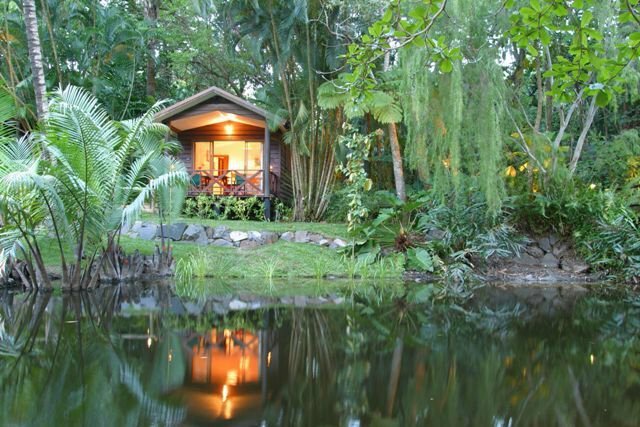 Many thanks for recommending Kewarra it was absolutely out of this world.